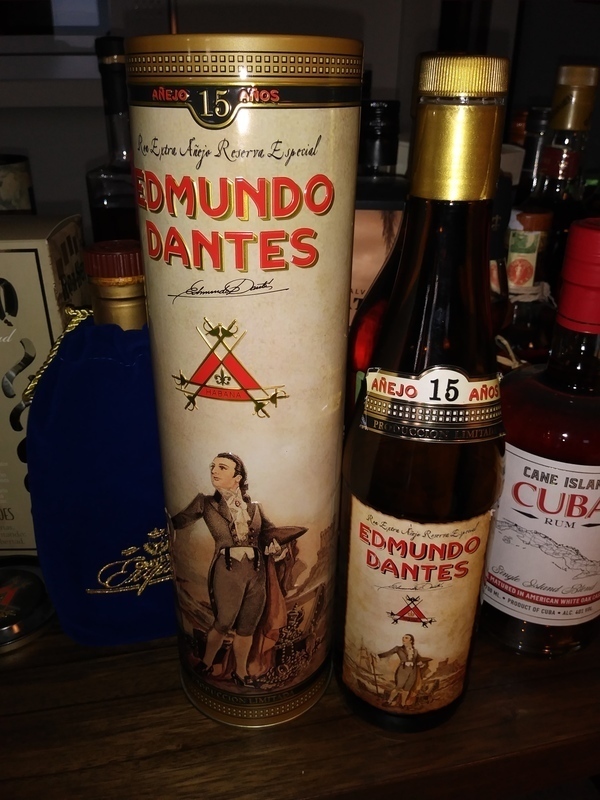 Have you found an online vendor selling Edmundo Dantes 15-Year? For me the best Cuban rum so far. Excellent taste and almost no alcohol burn. Still typical Cuban in means of sweetness. Excellent Cuban rum. Complex rum, can taste mostly coffee and tobacco. Has the burn one expects from a true Cuban. But for a 80 € bottle i expect a nicer bottle with a cork. But the rum is nice, tabaco and toffee or chocolate. And a very little burn. Edmundo Dantes 15 Years has the typical Cuban taste of tobacco and coffee and is spicy. for me a secret tip. I'm more the Santiago Rum drinker, but this is also a very tasty rum..it doesn't burn as much than others and is smooth and a bit sweet. A bit sharp for what I was expecting, also dry. Probably will give it another tasting. Not my cuppa tea - sweetened, raisiny and not a true Rum. Should be sold as spiced rum. After searching for a bottle of Edmundo Dantes 15 year in Havana for 3 days, there was not a single bottle for sale. Luckily I tried it twice at a local restaurant and what a find indeed! So smooth, very nice vanilla, toffee and tobacco flavors and hardly any burn at all. August 2018 update: Managed to locate 1 bottle of Edmundo Dantes 15y from Vinoble in Skanderborg. Spectacular rum when enjoyed the second time, now the entire bottle and not just 2 drinks at the restaurant. Voor mij de rum om lekker thuis op de bank te drinken goed gebalanceerd in smaak, smooht en geen scherpe alcohol smaak. edit: efter flere romsmagninger og jeg har fået stillet min sødme er denne rom kravlet op af stigen. Jo mere rom jeg smager, jo mere sætter jeg pris på det cubanske. Aromaerne er ved at vinde over sødmen. This one had a low taste. Suddle and pleasant and not full of sugar. Hince The dry note.. Real good IF you dont like The sugartaste.